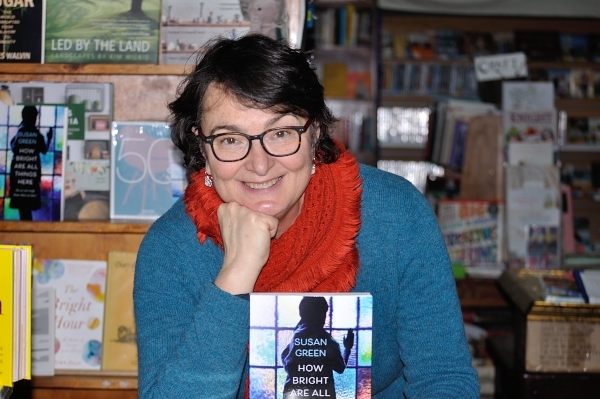 My name is Susan Green, and I’m a writer who lives in Central Victoria. I’ve been an art student, a primary teacher, a radio producer, a youth worker and a cook; I’ve written copy and educational materials for The Wilderness Society, the local Education Centre and an audio-visual education company; I’ve taught many, many creative writing courses and workshops in community settings. Since 1996 I’ve worked in a bookshop, Stonemans Bookroom, in my home town of Castlemaine. My husband and I have a grown-up (amazingly gorgeous and wonderful!) son. When I’m not working or writing, I can be found gardening and walking in the bush or in the local Botanical Gardens with my little mini schnauzer Gus. Maybe cooking, knitting or drawing. And reading. Of course. I started out writing literary short stories for adults. I won a few awards, including an Age Short Story prize. But somehow, almost accidentally – and with great enjoyment – I became a children’s writer. Now I have 12 children’s books – picture story, teenage, junior fiction and one non-fiction – to my name. My first novel for adults, How Bright Are All Things Here, was published in September 2017. I’ve been writing since I was 8. When we were asked our career plans in year 7, I said “Poet”! I wrote and illustrated a children’s novel as part of my year 12 art folio, and initially wanted to write and illustrate. But I dropped out of art school and after working for a couple of years, enrolled in primary teacher training. I’d continued to dabble in short fiction, but encouraging lecturers sparked my interest and I began to submit stories to competitions. I won a prize in the student newspaper competition in 1982, and then in 1983, when I won an Age Short Story Award. 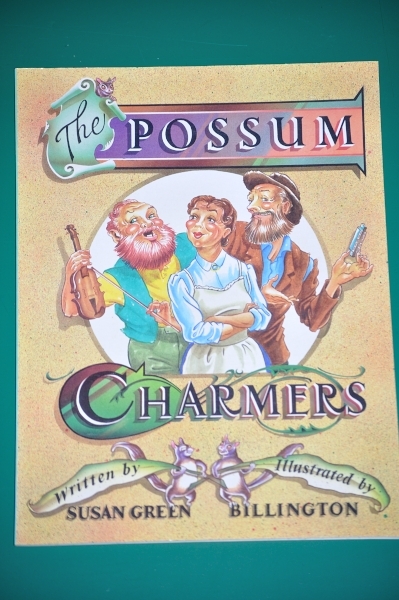 I concentrated on short fiction until 1987, when The Possum Charmers, a picture story book written in collaboration with illustrator Stuart Billington, was published. After that, I did another picture story book with Stuart – The Great Detective and the Case of Captain Blunderbuss’s Secret – and then five teenage romances in a row. The first four were for the Dolly Fiction series. 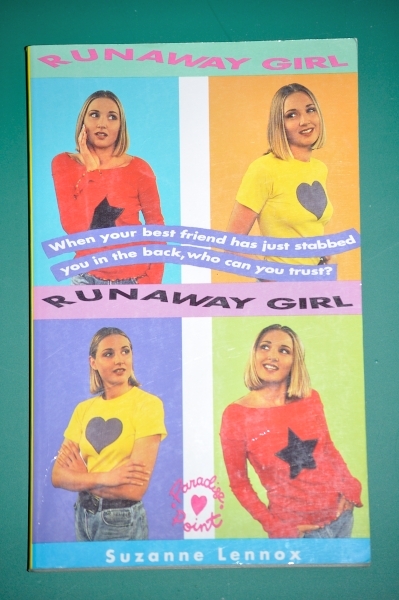 The last one, Runaway Girl, which came out in 1993, was for Pan Macmillan’s Paradise Point series. My “teen romance” name was Suzanne Lennox; I was advised not to use my real name. Perhaps I was meant to be ashamed of writing these books. Actually, I’m rather proud of them. They’re good stories; they’re as much about friendship and support between girls as relationships with boys; the girls have interests and jobs and families. And I had to learn, very quickly, how to write a novel. However, the last cover (below) was…well, the pits. In that first image, she looks as she’s thinking “Oops! 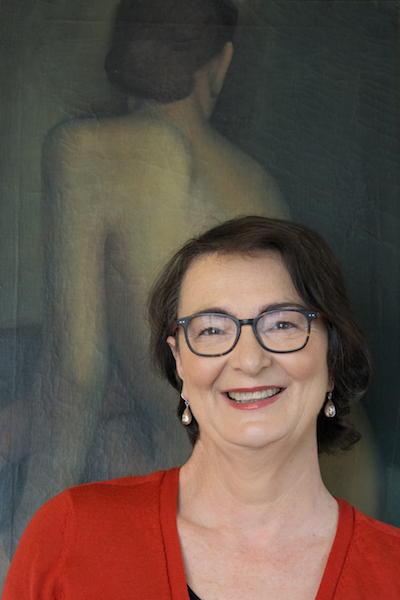 My brain’s dropped out!” After Runaway Girl, I stopped seriously pursuing fiction writing for a few years; instead, I enrolled in a graduate diploma in children’s literature. 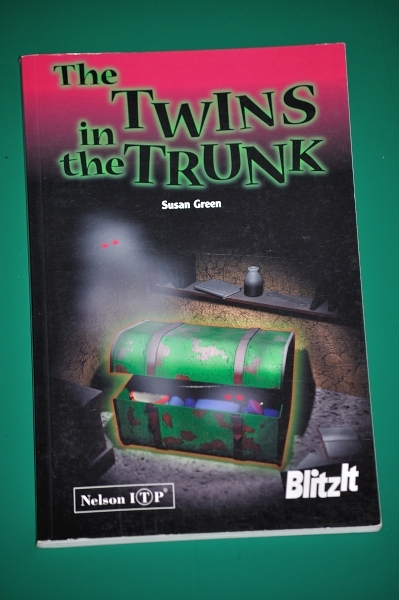 Then in 1996 came The Twins in the Trunk. It‘s a junior novel with a brave young heroine dealing with two mischievous spirits who don’t realise they’re dead and are victimising her baby brother. It’s set in a small country town rather like Castlemaine. In 1996, there was also another production. A baby boy. In fact, he came early, so I had to finish my book with a newborn in my arms, typing on-handed. I am not sure how I managed to do it. After a break, my only non-fiction book so far was published. It’s part of the It’s True! series published by Allen&Unwin, and it’s called Fashion Can Be Fatal. It was great fun to write and research, and it was reasonably successful. They even translated it into Chinese and Korean. Who would have thought? 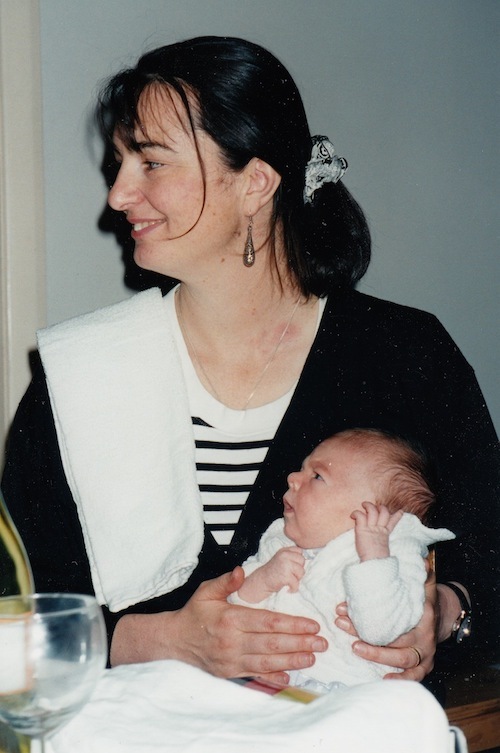 In 1998, with my husband and son, I moved in with my parents. My father had cancer and Parkinson’s; the move enabled mum and dad to continue living at home. I combined part time work with looking after a young child and assisting my mother to care for my father. Then, after dad died and my mother became ill and eventually disabled, I became her carer. They were difficult and rewarding years for all of us. I retreated into a giant fantasy novel – around 150,000 words of dragons and prophecies and mysterious gifts and dark spells. It took around 4 years to complete, but that fictional world was not really my natural home and that’s probably why my editor rejected it. I began Verity Jones and the Sign of the Seventh in late 2007. I didn’t know it at the time, but it’s sometimes defined as the ‘Gaslight’ genre. For the manuscript-in-progress, I was awarded a Varuna Fellowship. Varuna, the Writer’s House was the Katoomba home of Eleanor Dark, author of The Timeless Land, which was given to the nation by her son Mick as a retreat and resource for Australian writers. That time being a writer in the Blue Mountains made all the difference. I became excited about writing again. I gained an agent. 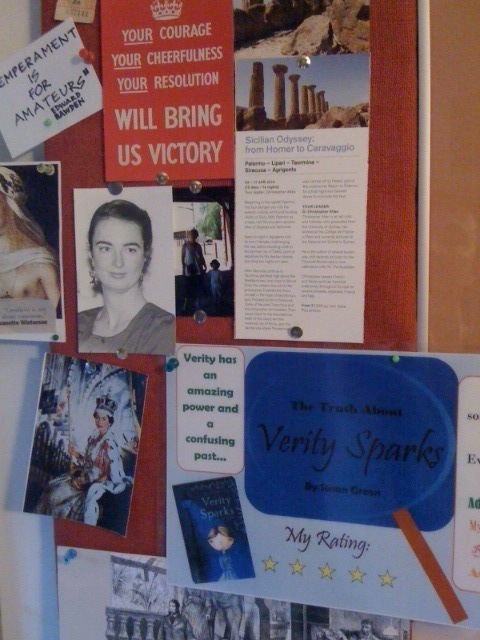 It wasn’t an overnight success, however, but The Truth About Verity Sparks (much better title! ), sold well and was awarded Honour Book in the CBCA awards in 2012. The picture below shows me with the Hon Kate Ellis MP at the presentation ceremony in Adelaide. I was delighted to get such a positive response to Verity. One of the loveliest experiences was an invitation to a school book club in Ballarat. The students treated me as an honoured guest, creating a Victorian era nook in the library complete with armchair, side table and lamp with flowers and a tea-set. They’d made little posters and cards for me – tea and biscuits – and lots and lots of interested questions. It was the first time I’d really personally connected with my young readers – they were fans! – and it’s a treasure of a memory. The second book, Verity Sparks Lost and Found, was released on May 1st 2013. A third installment, Verity Sparks and the Scarlet Hand, was published in August 2015. In it, I achieved my ambition of bringing Verity to my historic Victorian goldfields hometown of Castlemaine. The photograph shows me outside Buda, home of gold- and silver-smith and entrepreneur Ernest Leviny and family. I enjoy mixing fact in with my fiction, and I’ve used the Leviny family in the plot. Verity Sparks and the Scarlet Hand was highly commended in the Sisters in Crime 2016 Davitt Awards. This is me having a fan girl moment with bestselling author of Big Little Lies, Liane Moriarty. In 2007 I began to think about a new novel – for adults. In late 2008, after my mother’s death, I began to write. It was a very personal book for me, begun while I was grieving and dealing (in part) with the illness, decline and death of a beloved mother. In 2011 the manuscript, then titled Anything Worth Keeping, was awarded a Varuna Publisher Fellowship. It took until 2016, and much editing and re-working, to find a publisher. In 2017 Pan Macmillan released it. It’s my 13th book, and I hope it’s a lucky 13 for me. It’s about art, love and secrets. It centres on Bliss Henderson and her three step-children Paula, Tom and Anne. Glamorous Bliss has lived a flawed and fascinating life, from country Australia and pre-war Melbourne to the art world of London in the 1950s and 60s. Now in a nursing home, in her last days she’s reliving it all. As she excavates her past, secrets emerge. The children, each with their own problems and complications, hover. She wants them to judge her fairly, but how can they? The question I wanted to ask was, ‘Do we ever really know the ones we love? The painting behind me is a student work (painted in the late 1940s) by my father, Douglas Green. It’s a part of How Bright Are All Things Here. 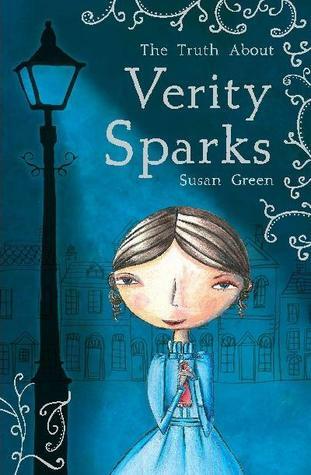 My name is Alice and I have read the first two Verity Sparks books. I would love it if you made a third book. I got my mum to read The Truth About Verity Sparks as she really likes it. So please make book 3. Thanks for you comments – I’m glad you liked Verity so much you want another instalment. Book 3 is on its way. I have planned out the story and will start writing SOON. Hi Susan, It was great to meet you and hear your story last night. All the best with your future writing. I’m looking forward to getting to know Verity. Thank-you very much. My visit to Ballarat Writer’s Group was lots of fun. Once my little talk was over (phew! relief!) I especially enjoyed hearing so many writers read their work – all different, all engaging. A lovely night. I am only about half way through…so I’m sorry, but you will have to wait a bit longer. Thank you for letting me know how much you enjoy Verity – it’s lovely that you took the time! I’m Erin and I’m 11 years old. I absolutely love your series Verity Sparks! I was captivated from the first page of The Truth about Verity Sparks, and think that Verity Sparks, lost and found, was even better. I cant wait to see what book 3 brings (and then hopefully book 4 🙂 )! I read it with my Mum and she enjoyed the book almost as much as me, even though it’s a childrens’ book. My Mum grew up in the Macedon Ranges! Anyway, I got the first book for Christmas last year, and it was probably one of the most successful things I have gotten. I JUST COULDN’T STOP READING!!!!! Anyway, I can’t wait until book three and I am sure it will be warmly received. The Verity Sparks books are probably some of best I’ve ever read, and I’ve read many! Just wanted to tell you that your writing is wonderful and your books are incredible and inspired me to write and be curious. Thank you so much for writing. And it’s great to know how much you’ve enjoyed the Verity books – and more, that they’ve made you want to write. But what really thrills me is that you’ve said they’ve inspired you to be curious. It’s so important to be curious, not just so you learn but so you enjoy and connect and get inspired… Good luck with your reading and writing and curiosity this year, Erin. I would like to thank you for your wonderful books. 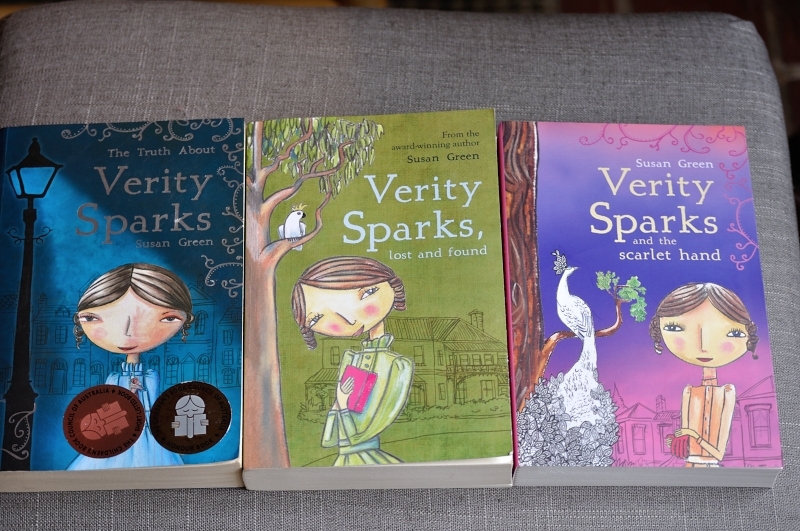 I have read the Verity books to my 11 year old daughter who has completely fallen in love with them. She has dyslexia and consequently reading is a challenge for her. Her love of literature even when it is so difficult for her to decipher is encouraging and wonderful. Today I arrived home to find her sitting at her desk writing the beginning of a book inspired by you – thank you! I was very happy (actually very moved) to read your comment. To know that I’ve inspired someone is a wonderful thing – but to inspire your daughter to do something that’s difficult for her is special. Thank you so much for telling me about how my Verity has helped to feed her love of literature. Please tell her that I had a very rocky start to school – I couldn’t read and had to repeat preps – and yet I’ve ended up as a writer. I love your books but can I ask you two questions? Number one how old was Alexandra when he tried to murder Verity? Number two was Bill Bird Lizzy Sparks younger or elder brother? By and I can NOT wait for book three. Thanks for your interesting questions. I imagined Alexander as a young man under 30 years of age. Perhaps 26 or 27. And Bill Bird was married to Lizzie Spark’s younger sister, Sarah. Hi! My name is Mae and I am 11 years old. I was wondering if I could ask you some questions? They’re quite easy, so need to worry. I am doing an assignment on your well-known book, ‘The truth about Verity Sparks’. First of all, what inspired you to write the book? And are there any books you think are similar the Verity Sparks? Sorry I’ve taken a while to reply. I hope I haven’t left it too late for you to complete your assignment. A number of things inspired me to write The Truth About Verity Sparks. I thought I would like to write a book that could be a series. The character of a foundling (a baby that’s been left, for example, outside a church) came to me one day while walking in Melbourne. And the large, grand, imposing Victorian buildings of Melbourne also made me think about how small and powerless my little foundling would feel. Apart from that, I enjoy researching the Victorian era. And l like the clothes! My name is Annabel and im 10, I really Love Verity Sparks, it had me hooked form the beginning and after that, I couldn’t put it down! I was wondering if you could answer a couple of questions! 1.) Will you ever write a fourth book because I really want to find out what happens to Verity? 2.) What inspired you to start writing books?? T̤̮h̤̮a̤̮n̤̮k̤̮s̤̮ S̤̮o̤̮ M̤̮ṳ̮c̤̮h̤̮!! I̤̮ a̤̮p̤̮p̤̮r̤̮e̤̮c̤̮i̤̮a̤̮t̤̮e̤̮ i̤̮t̤̮!!!??? thanks very much for telling me how much you enjoyed my Verity books. it really means a lot to me. You might notice that I have edited your post, just a little, to remove a possible spoiler. But to answer your question #1 – I am not sure if I will write another Verity or not. It depends on whether or not the publishers want me to, and that depends on how well the series is selling. I have some ideas for further adventures, but sorry, I can’t predict the future so i can’t really answer your question! And your question #2 – reading all sorts of wonderful books (and not so wonderful, too) when I was a kid (age 8 onwards) inspired me to want to write. It is the most fun I can think of, and at the same time, it’s really hard work. 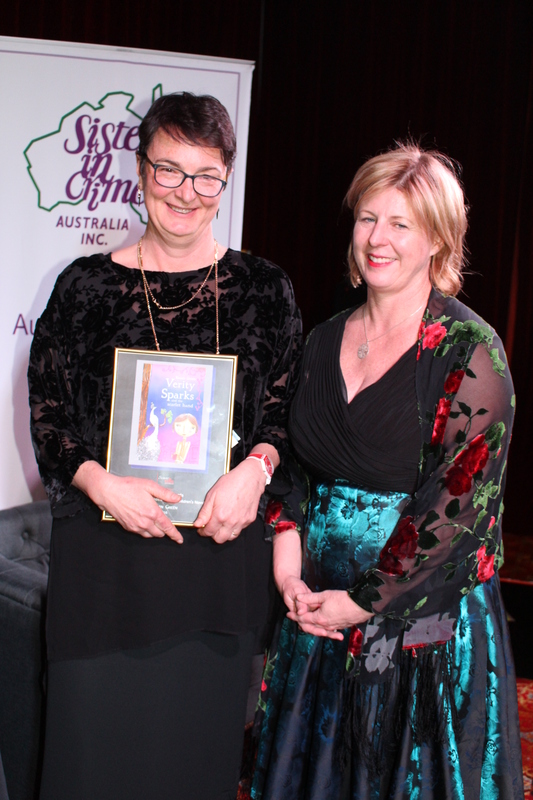 I love your books and I have nominated your book for the Australian 2016 YABBA awards and I love verity sparks. What inspired u to wrote it?? Thanks for nominating my book – what a lovely vote of confidence! So glad to hear that you’ve enjoyed Verity. Lots of things inspire me – people, places, feelings – but I especially like thinking about the past, and wondering what life would have been like. That’s how Verity popped into my head. Your books blew me away and I liked it so much I made a poster. Your books inspire me to be a book writer although I already am. I recently did an assignment as well in my uni about this book, Mae. Thanks for writing and letting me know that you like my Verity Sparks books, and that that they’ve inspired you. It’s lovely to hear comments like that! My best wishes for you uni course, and also your own writing. It is just the best thing when readers tell me that they’ve enjoyed my books, so thank you! Sorry, there are no Verity Sparks books planned at present. However, I am busy with another junior novel. My new heroine is called Hattie Raven; the more I write, the more I like her so I hope you will like her too. All the best, happy reading! I’ve just finished reading your first Verity book and I completely loved it! 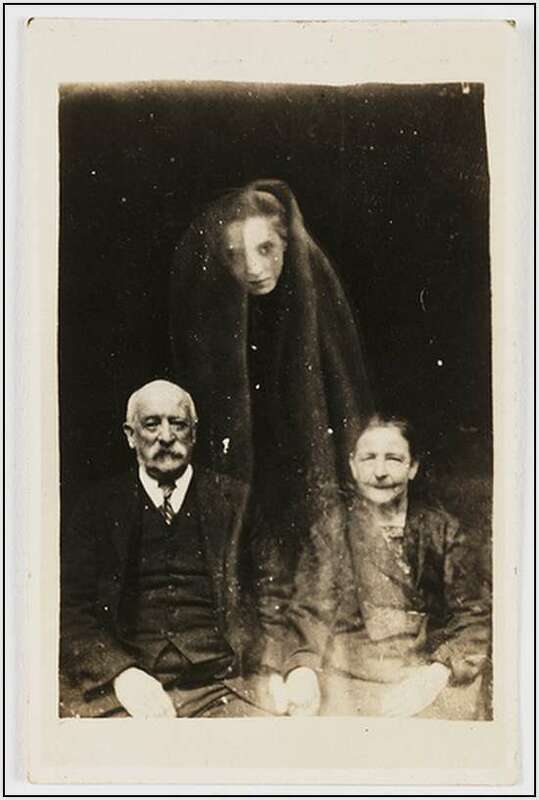 I really liked the mystery and spookiness of the story. I’m very picky with books, but Verity was perfect for me. Now I can’t wait to read the next one. Thank you for your lovely comments! It is good to know that, even though Verity has been around for a little while, new readers are still finding her. I wonder if you have ever read “The Wolves of Willoughby Chase” by Joan Aiken? I think you might enjoy that book, too. Hi Susan! Your books our my favourite when I read all about this I was amazed I want to be an author just like you but like you I suffered the problem on how to get books published and edited and all that stuff, could you tell me how you did it? I’ve written about 7 stories ( some shorter than others) and still some are currently being written! I’m sure you’ve heard this a bunch of times but Your Verity sparks series are THE BOMB! There so good! An aussie authoress in training! Great to hear from you, and sorry I’ve taken a while to reply, I’ve been very busy lately. So, how do you get books published and edited? These are good questions, but hard to answer. And there is probably some stuff you know more about than me…like publishing your stories online. It took me a long time to get published. Lots of writing, lots of trying and failing and experimenting, lots of finding out who I was as a writer, what kinds of things I like to write. The path to publication for many writers (including me) is to enter your work in competitions. When I was doing that, I found them in magazines and newspapers. Now, my advice would be to look online for competitions and other opportunities. Some are open age and some are specifically for particular age groups eg under 16, under 25. That’s a great way to start. Getting your work edited is a whole other story. I’ve heard people say that you have to learn to be your own editor, and to some extent that’s true. But…It’s hard to look critically at your own writing because, after all, YOU wrote it and YOU know what it’s all about. So, when you’re getting started, it’s a great idea to find a “trusted reader” to give you feedback. It could be an adult or someone your own age who likes the same kind of writing as you. When I say “trusted”, I mean they need to be honest but not destructive; it’s great when someone finds the good things in your work, and is also able to tell you what they think didn’t work so well. BEing part of a writer’s group can be good, too. I worked with 3 other writers for a year or so, and found the discussions and comments really, really useful. Don’t forget you can publish your own work online in your own blog/website, or in a zine which you can distribute. I’ve seen a few zines with stories and illustrations that have been fantastic. A local young woman published a zine which was distributed free in the bookshop where I work. A great way of getting her work out. Then there is getting published by a publisher. Many publishers don’t accept unsolicited manuscripts (people sending in their stories without an invitation). But quite a few of them have times when they’ll accept pitches. You can go online and look up the different publishers websites and see. If you do that, make sure you are looking at publishing houses that publish the kind of thing you write. For instance, some like Walker Books (who bring out the Verity stories) specialise in childrens books, but others may not. One good way to find out is to go to your local bookstore and look at books! I hope this has been useful to you. Good luck! -An Aussie authoress in training! Kind regards, The Aussie Authoress in training! Dear Susan , did you ever write a book featuring Nantucket , I have been to Majorca on holiday and selected a book of the shelf in our Hotel that people read and leave behind , Can,t remember the title but it was by Susan Green about someone who went to Nantucket to meet her Father , it was a lovely book so left it for someone else to read and thought I would look for another when I got home, but can,t find any ! 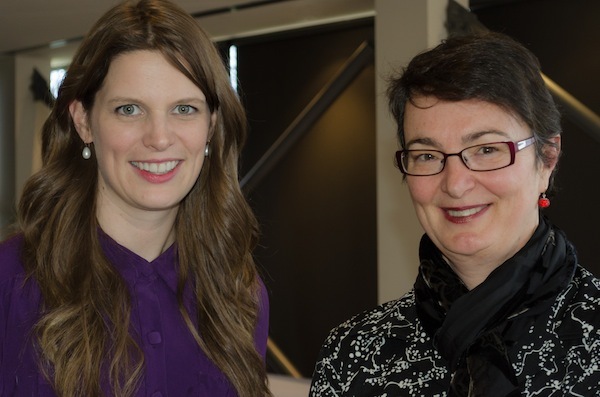 Sorry – it must be another Susan Green! How frustrating… Hope you find your books soon. I’ve just finished reading How bright are all things here and write to tell you how very much I enjoyed it. Well ‘enjoyed’ doesn’t to it justice – your book is a book to immerse oneself into. It is a story in the real sense of the word, and a rare quality these days. Thank you for your kind comments. I think this is what writers hope for – I do, certainly – the feeling that the reader can be immersed in the world I created; that something about it can truly connect with a reader. 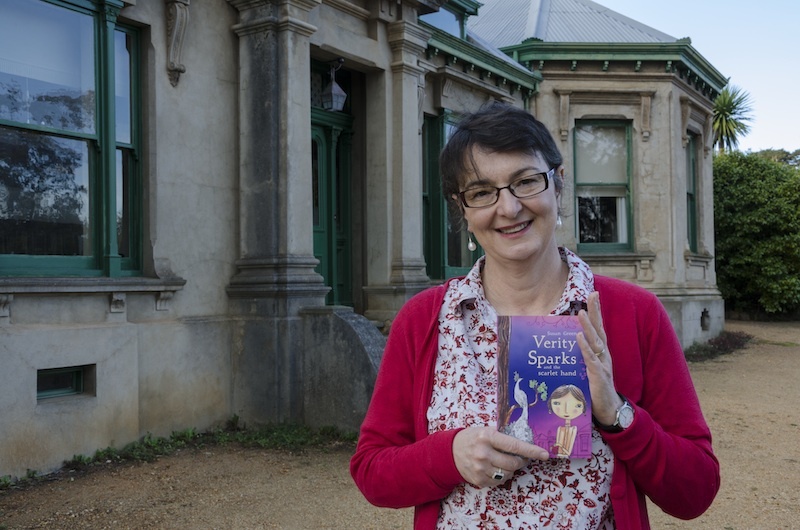 I am a year 7 student at Our Lady of Sion College and I have just finished reading The Truth about Verity Sparks, I was hoping to find out some information about why you wrote the book and your inspiration for the characters. I am planing on using this for an oral presentation. I appreciate your time in responding to my comment. If you look on this site to the page “About Verity Sparks”, you’ll find the story of my inspiration for the character and how the book began. Every writer is different, but for me it’s often just something I see or hear or read that lodges in my brain at the right time, in the right place – a bit like a seed. As to the actual “why” I wrote the book, I had just finished one book that didn’t work out and while i wasn’t actively seeking for a new project, I guess I was open to whatever came along. Thanks for contacting me and I hope your oral presentation goes really well. Thank you so much for your thoughts on “How Bright”. I’m so glad you “got” the novel. I SO wanted readers to find it sad and funny and honest; I wanted to show the intertwining of lives, the gifts and the damage and delight and the pain and the whole damn thing. Thank you for taking the time to tell me. It’s why I write. And thank you for sending your comment today, when I was feeling a little down about my writing. Happy New Year; I hope it’s a good one for you. 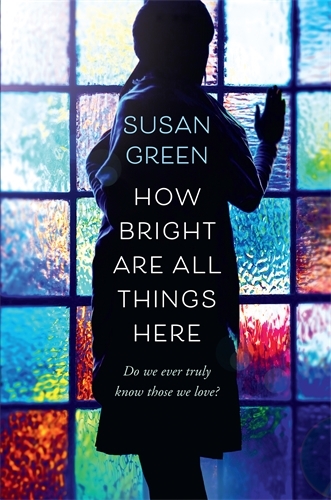 I’ve recently finished reading ‘How bright are all things here’. At 80 years of age I don’t need to be as close to death as Bliss to spend much time in uncomfortable reflection on my own flawed but eventful life. Having lived so long, and cursed with excellent recall, almost every memory results in a fugue , especially in the wee sma’ hours. Your novel brings home to the not-so-old reader that the really old have lived lives in which they were very often not free, or not able, to make the best decisions; but having made them, are still living with the consequences, the shame, & the blame. A desire for understanding & forgiveness that can neither be sought nor given. Because our descendants have their own lives to live, in circumstances we could not have imagined when we were young. Your book showed an uncommon understanding. It was comforting & supportive. Please continue to write for adults. Margaret, your wonderful comments here came at just the right time. I am struggling with starting a new book (for adults!) and wondering if I can do it, asking myself why do I even bother to try to do it? and scolding myself with all sorts of other negative self-talk too tedious to repeat. But the reason why I write was right there in your words, and I feel encouraged and will try to be braver. Thank you so very much!